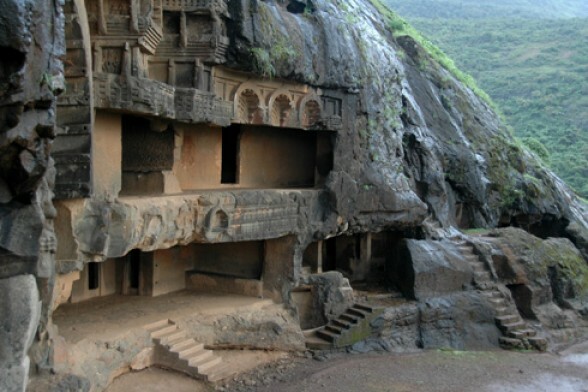 The city of Pune is very popular for its culture and heritage and was once the capital of the powerful Maratha Empire. 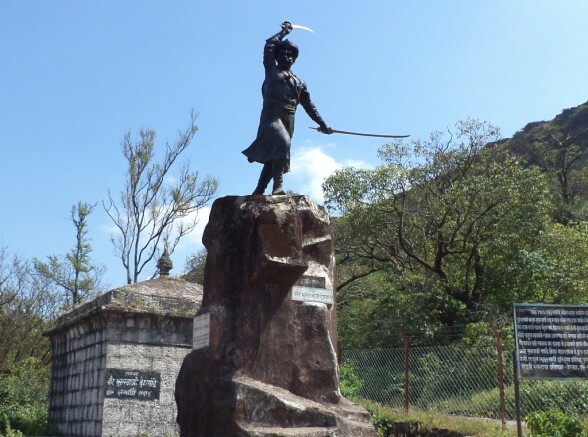 There are several forts near Pune city that attract trekkers and hikers, who get a chance to relive the history of the powerful Marathas and Peshwas and at the same time get a chance to absorb the wonderful natural environment while they trek. Trekking during monsoon has a special charm which no other season can provide and even an ordinary walk around the hill is a pleasure during the rainy season. 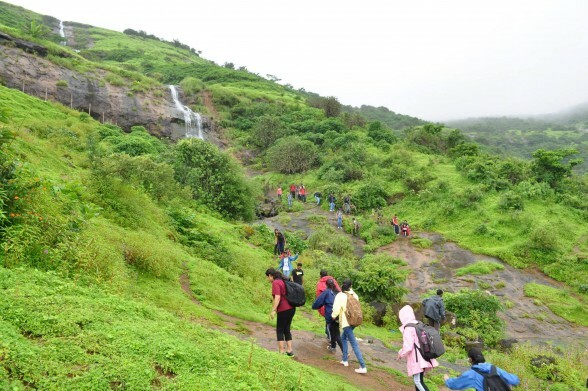 So If you have not experienced trekking and hiking in the monsoon it is then time to grab your backpack, fill them with the essentials and head towards the below mentioned monsoon trekking and hiking destinations near Pune. Timing: The fort is in control of the Indian Army and is open between 09:00 a.m. to 05:00 p.m. (Reach at least 3 hours before closing time). A brief History: It is believed that the fort was built during the 13th century by the Persian invaders. Since then there have been several interesting legends associated with its construction. As time passed by the fort witnessed many tussles between the Marathas and the Mughals over its possession only to later fall in the hands of the British. 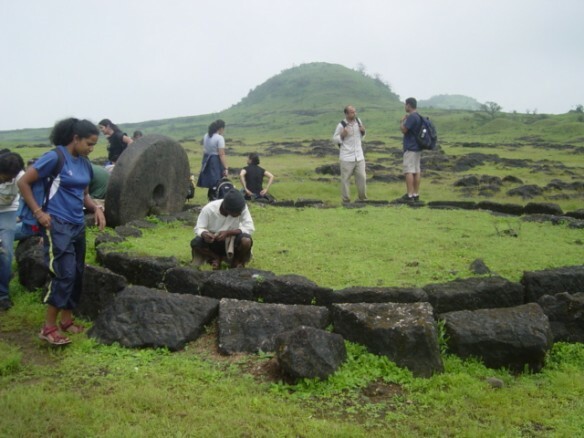 Trekking at the Purandar fort can be done at 2 levels. The first level begins at the base of the hill and is locally known as a ‘Full Trek’ which takes about 2 hours to reach to thetop. While the second level starts at a midway to the fort and is known as ‘Half Trek’ as the road till this section is motor able hence many first timers prefer this trek as it take about 45 minutes from here to the top. The fort is in control of the Indian army and there is a check post set up by them at the half way mark. It is mandatory for all trekkers to enroll their details at this point before trekking to the top. 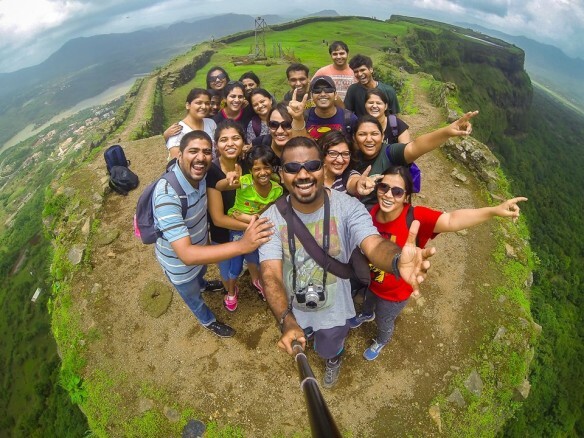 Also at the half way mark trekkers have 2 options, either to trek the Purandar fort or trek the Vajragad fort which is just adjacent to the Purandar fort. Furthermore, trekkers are advised to carry sufficient amount of food and water as there are no shops or drinking water facilities at the fort. There is a small shop at the base of the fort, which serves hot tea, Pitla bhakri and Kanda bhajji’s. Camping Info: Since the fort and its surrounding areas are used for military training, Camping or overnight stays are not possible at the fort as the military guards ensure that all trekkers leave the fort by 4:30 p.m. Via Hadapsar -> Dive Ghat-> Saswad -> Narayanpur -> Purandar village (This route takes more time but is picturesque and ideal for nature lovers). From Mumbai: Trekkers coming from Mumbai can first reach Pune city and then choose any of the 2 routes mentioned above to reach Purandar fort. From Saswad board an S.T buses to Bhor which will take you to the ghat of Purandar Matha which is in the Narayanpur village. There is a road on the left side which goes straight to Purandar Fort. After reaching Pune trekkers can board an S.T bus available from Pune to Saswad which will take them to the Purandar fort. There are also buses available to Narayanpur from Hadapsar, firstly reach Hadapsar and then from there to Narayanpur. - Panoramic views of Wai, Panchgani, Mahableshwar and surrounding landscape. A brief history: The Raireshwar fort is considered as one of the most historical places in Maharashtra as it was here that Shivaji Maharaj had taken oath of Swaraajya at the temple ofRaireshwar at the fort. The trek is fairly easy as the path up to the Raireshwar fort is clearly marked and the trail is surrounded by picturesque landscapes and hills, the entire beauty of nature is worth admiring and experiencing. After reaching the half way mark trekkers need to climb a series of about 300 steps and towards the end climb a series of metal staircase which further facilitates the climb to the top. Within the same day experienced trekkers can also make a trip to Kenjalgad fort nearby which is located at the southeast of Raireshwar fort. 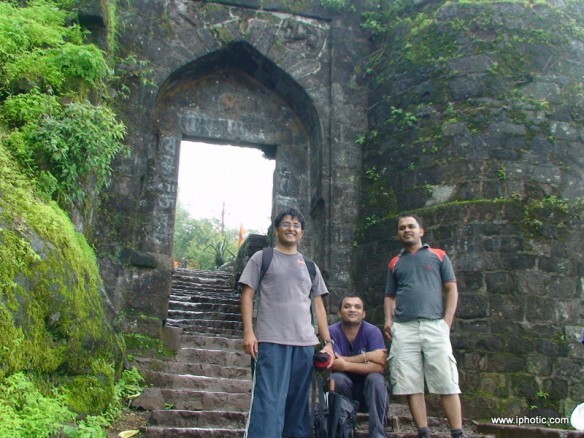 Many trekkers who trek Kenjalgad and Rohida fort on the same day generally prefer to camp at Raireshwar fort. Therefore trekkers planning an overnight stay should carry their own tents as there is no proper shelter within the Raireshwar fort. There is basic shelter available at the Raireshwar temple that can accommodate 9 to 10 people. Local villagers are kind and will help you with basic needs but always carry basic camping equipments in order to avoid any trouble. There are several S.T buses that ply between Pune and Bhor tehsil from Swargate. From Bhor Tehsil trekkers can take the local transport available like share jeeps, rickshaws etc to reach Raireshwar. The distance between Pune and Bhor is 54 km and the distance of Bhor to Raireshwar fort is 30 km. From Bhor there Local transport like jeep is available for Raireshwar. A brief history: The origins of the fort are fairly unknown but according to recent history the Korigad fort was incorporated into the Kingdom of Chhatrapati Shivaji along with other neighboring forts of Lohagad, Visapur, Tikona and Tung during the 16th century and later during the 18th century the fort came under British control. 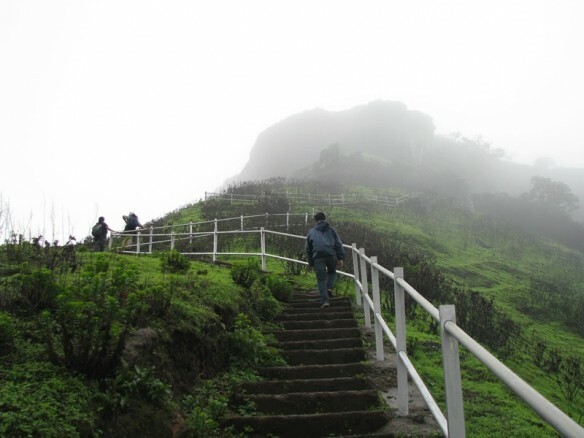 There are two routes by which trekkers can reach to the top of Korigad fort. The first route is from Peth Shahpur and the other is from Ambavne village.The route from Peth Shahpur is easier as compared to Ambavne village and experienced trekkers can try the latter to enhance their trekking skills. 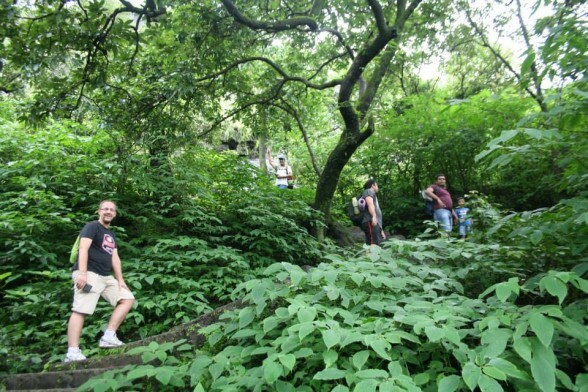 The trek is fairly easy and one can reach the top after climbing a series of 510 steps. Once at the summit the fort has water reservoirs, temples dedicated to various deities. The walls of the fort are still intact and trekkers can easily walk along its entire perimeter for about 2 km and enjoy breathtaking views of the landscape surrounding the fort. There are several other ruins and old structures on various parts of the fort to explore. There are 6 canons scattered at different parts of the fort the biggest one is the ‘Laxmi Toop’ located near the Korai Devi temple. Do carry sufficient food and water as there are shops or drinking water easily available. The fort is very good place for camping as there are plenty of open spaces where campers can set up their campsite. Ideally carry your own tents and in case you do not have one then trekkers can camp at the Korai Devi temple which can accommodate at least 10 people for the night. Furthermore the local villagers are very helpful and are more than willing to help in case of any need. 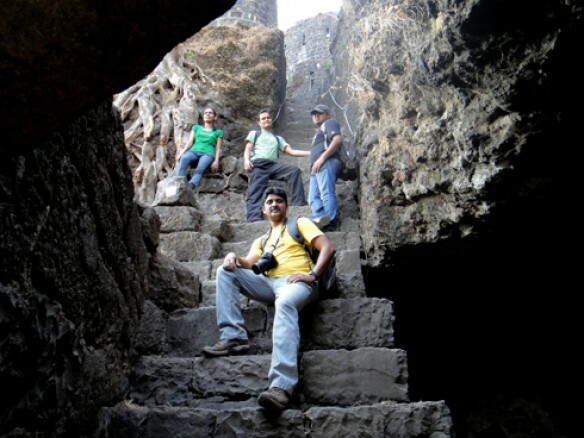 There are 3 routes to reach Korigad Fort from Pune and varies from 75 km to 110 km. Route 1 (110 km): Pune -> NH4->Lonavala-> Bushi Dam-> INS Shivaji Road-> Peth Shahpur. Route 2 (77 km): Pune-> Chandni Chowk-> Paud-> Kolvan Phata->Kolvan->Hadashi Dam->Take a left to Javan Tungi Road-> Peth Shahpur. Route 3(88 km): Pune -> Chandni Chowk-> Paud-> Mulshi /Tamhini Ghat ->Take a right to Dhangod – Peth Shahpur. Korigad fort is situated very close to Ambey Valley city and with the roads in good condition one can reach easily in their own vehicle. Mumbaikars can reach Lonavala and then travel about 20km amidst green hills and valleys to reach Peth Shahpur the base village for Korigad fort. A brief history: Torna Fort also known as Prachandagad is one of the highest forts in Pune district located at a height 4610 feet. It was captured by Shivaji Maharaj at a tender age of 16.Though not much is known about its origins of the fort but it has seen many wars between the Mughals and the Marathas over its possession and has been an important and strategic fort. 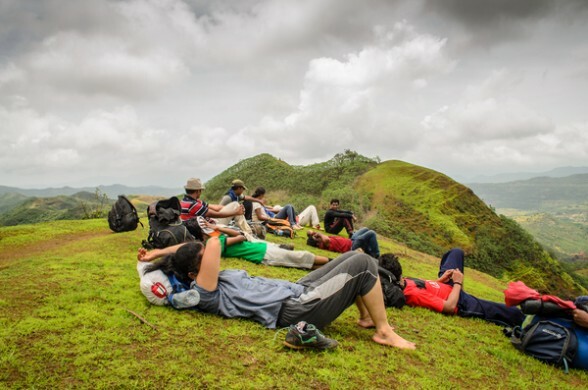 Trekking the Torna fort is a fascinating experience both during monsoons and winters as it keeps a trekker encapsulated for the entire duration of the trek with its beauty. While trekking up the fort, trekkers will come across a series of temples, old ruins which were once used to accommodate soldiers, water reservoirs and tanks. Once at the summit trekkers will be rewarded with breathtaking views of neighboring forts, beautiful landscapes and mountain ranges. During heavy monsoon showers there could be difficulty in exploring the fort as there is heavy cloud cover and fog at the top. But during winters a trek to the top is considered the best as the entire trail is laden with beautiful wild flowers. Experienced trekkers can go for a twin treks i.e. Rajgad and Torna or Torna and Rajgad.This trek involves crossing a few hills and take about 5 to 6 hours of ridge walking. The best time to camp at the fort is during winters (October to December). 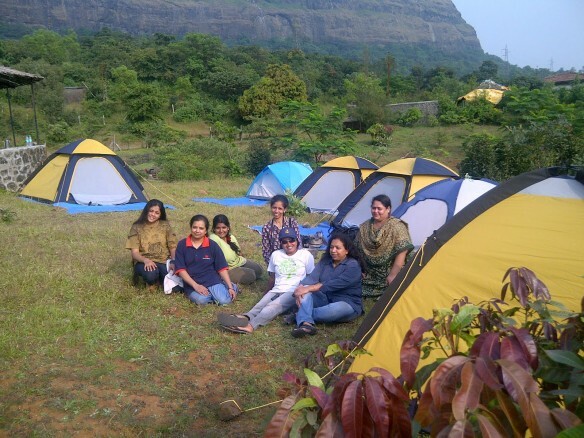 Trekkers can bring their own camping gear and setup a camp site anywhere within the open spaces of the fort. Trekkers without camping gear can take shelter at Mangai Devi Temple on top of the fort. Furthermore, Velhe the base village has a number of restaurants serving authentic Maharashtrain delicacies like kanda poha, misal and wada pav. Every year due to the large numbers of trekkers visiting the place the local villagers have started lodging and boarding facility for trekkers planning an overnight stay. Please note: Avoid camping during monsoon season. During winters carry sufficient warm clothes as since it is pretty cold at the top of the fort at night. S.T buses and other public transport are easily available from Swargate S.T. stand to Velhe village on a daily and regular basis. By road the best route is Pune -> NH4-> Nasrapur Phata->Velhe village. Mumbai -> Lonavala -> Pune -> Pune Satara HW -> Nasrapur -> Adoli -> Velhe -> Torna. A brief history: The Visapur fort was originally built by Bahmani rulers and with the passage of time it went into the hands of the Mughals and the Marathas who were in constant conflict with each other over its possession. Later in the 18th century it came under the British rule. 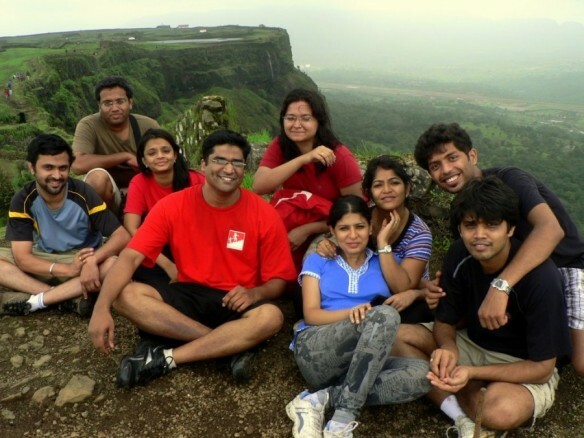 The Visapur Fort trek is a one day trek accessible from both Mumbai and Pune. It shares a common ground with the trail to Lohgad Fort. 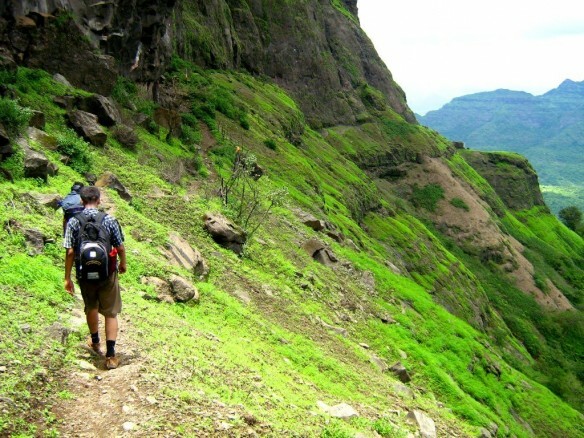 Many trekkers prefer to turn towards Lohgad as the trail is simple and well marked. But in case of Visapur the trek is a bit of confusion as the fort looks intimidating from below and there are huge boulders and rocky paths all the way up to the fort. Furthermore, the trail isn’t marked properly, which makes it even more difficult to find an entry into the fortified plateau. So, the Visapur trek is for those gutsy trekkers, who won’t fret about getting lost and enjoy every moment of the experience. Experienced trekkers can go for a twin treks i.e. 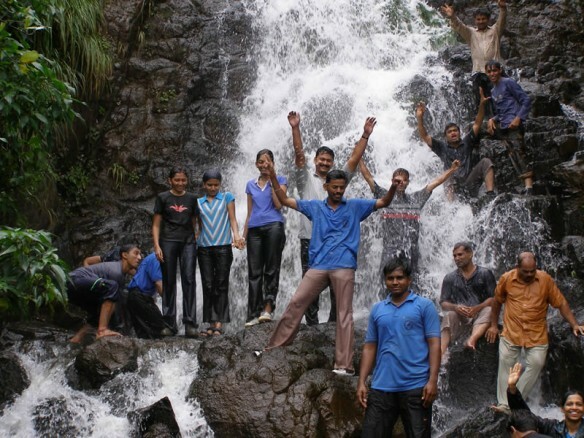 Lohagad and Visapur trek or Vispaur and Lohagad on the same day. Camping info: During monsoon ideally avoid camping as it can be dangerous unless you are part of an expert group of trekkers and campers. Winters are the ideal time for camping at the fort if you have the required camping gear. Trekkers planning to reach by public transport can board a train from Pune and alight at Malawli station (Make sure the train you take has a stop at Malawli).After reaching Malawli walk for a few minutes and reach 'Bhaje Goan - Junction' this is the starting point of the trek. Trekkers planning to reach by public transport can board a train from Mumbai and alight at Lonavala or Malawli station the next stop after Lonavala (Make sure the train you take has a stop at Malawli).After reaching Malawli walk for a few minutes and reach 'Bhaje Goan - Junction' this is the starting point of the trek. Starting Point: Donje is the base village. A brief history: Sinhgarh, or Sinhgad means ‘The Lion's Fort’. Previously the fort was known as Kondana fort and has witnessed numerous battles in its long history, but the most notable battle was when the fort was recaptured by the brave Maratha warrior Tanaji Malusare on behalf of Shivaji Maharaj. 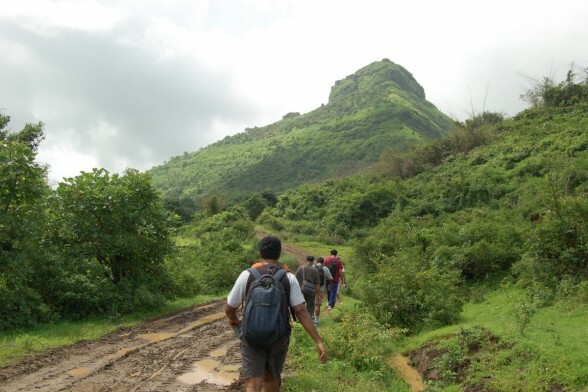 Trekking at Sinhagad fort can be done anytime of the year, the best time is to start early in the morning especially if you are trekking during winters and summer season. During monsoons trekking at Sinhagad is a pleasant experience as there are light showers and cool breeze blowing throughout the day. 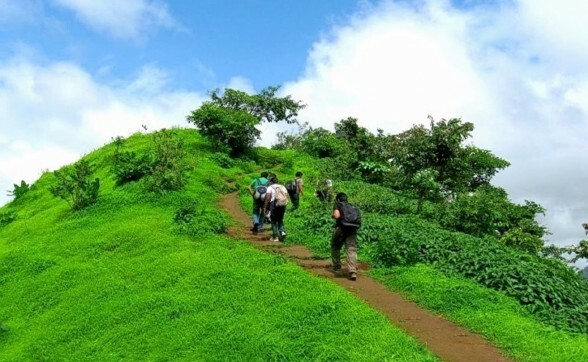 The trek is very easy as compared to other fort treks near Pune and is enjoyable as one climbs the views only get amazing with beautiful landscapes laden with wild flowers all around . After an hour of trekking you will reach the fort top only to be rewarded with beautiful views of the valley and of course do try a few Maharastrain delicacies at a few shops set up by villagers serving piping hot Jhunka- Bhakari, Kanda Bhaji and the famous 'Matka dahi' made in earthen pots. Do carry sufficient water and snacks as there are a lot of points and attractions to explore at the fort. Adventure enthusiast can also try out Flying Fox an adventure sport activity started recently at a very nominal rate. Camping can be enjoyed at the fort all round the year but during monsoon there could be a few issues due to heavy rains. Trekkers can bring their own camping gear and setup a camp site anywhere within the open spaces of the fort. Furthermore, the base village at the fort has a few of hotels and guest houses and provides accommodation to trekkers planning a stay overnight. Reaching Sinhagad fort is very easy as there is a motor able road to the top of the fort and there are enough parking spaces available in case you are travelling in your own vehicle. There are regular buses plying from Swargate S.T. stand and Shaniwar Waada to Sinhagad village. Trekkers using public transport can board a bus from these bus stands. On Sundays the frequency is good. 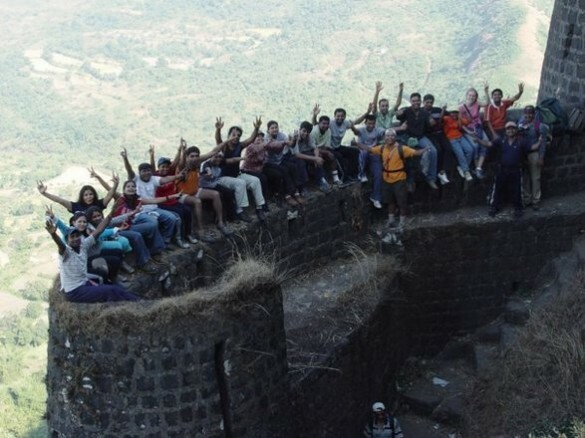 Sinhagad fort is visited by tourist on a daily basis and those who are not interested to trek can board a share rickshaw(tuk-tuk), jeep or bus run by the Department of tourism from the base village at reach the top of the fort. Trekkers can reach Pune either by their own vehicle or by public transport to Pune. After reaching Pune they can follow the route mentioned above or board a bus from Swargate St.T stand. So ditch the comfort of your home this monsoon and instead step outside to soak in the majestic grandeur of Mother Nature.